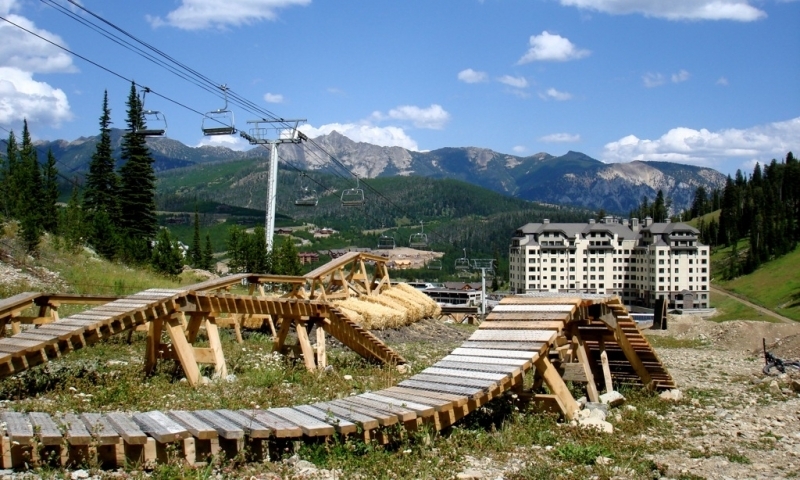 From lift-accessible mountain biking at Big Sky Resort to a vast network of single track trails at Moonlight Basin and Beehive Basin, Big Sky is a mecca for mountain bikers. 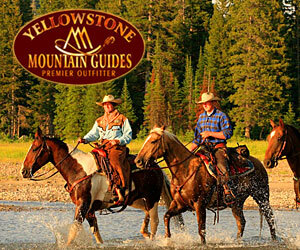 Bikes for all ages & abilities, just 45 minutes from Yellowstone Park. Offering adult & kid sizes, and toddler trailers. Also featuring clothing, accessories and maps. The best way to see Big Sky is via trail bike on their paved path system or the many winding backroads. Come discover the Ousel Falls bike trail. Come ride some wonderful backcountry with us, both half- and full-day rides! Private groups and all abilities welcome. Big Sky bike repair and rentals. Trail information from the friendly staff. 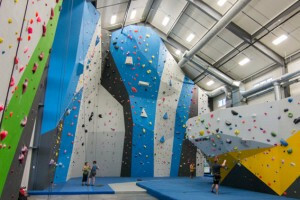 Kids & adults alike love climbing to the top of our 14-50 ft. walls with no experience or appointment required to climb. Reach new heights on your family vacation! Where can I go mountain biking? Ride the Swiftcurrent Lift for great access to downhill and all mountain trails. The lift-accessible terrain is for intermediate and advanced riders only and there are so many trails to choose from. Season and Hours: The mountain is open daily from 10am-3:30pm for lift-accessed mountain biking from late June to mid October. 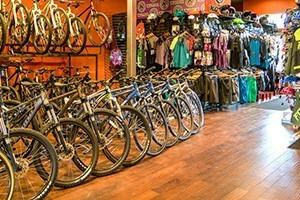 Rentals: Downhill and Cross Country Rentals (including all the gear you need) are available at Different Spokes Bike Shop in the base area (406-995-5849). While Moonlight doesn't offer lift-accessible mountain biking, they maintain a decent network of trails from their base area. Head to the lodge and grab a trail map to check out loops like Ullery's Lake Trail and the Madison Loop. Rentals available at the Big Sky Base Area. This popular 10-mile singletrack runs through aspen trees and across creeks, with easy to intermediate terrain. The mountain views are incredible. Park at Buck's T-4 Lodge (10 mile loop) or at the Porcupine Creek Trailhead (5.5 mile loop). Climb up the Beehive Basin Ridge and descend down the North Fork Creek Trail. This is a great cross country loop at about 8 miles round trip. Start at the North Fork Trailhead. There are a few shops in Big Sky that offer rentals, bike gear, and maps. Grizzly Outfitters (in the Town Center) has a nice selection of trail maps online.